A car which dominated the estate market for a decade has been nursed back to its original condition, after being donated to the Lakeland Motor Museum having been safely and carefully locked away undisturbed for nearly forty years. 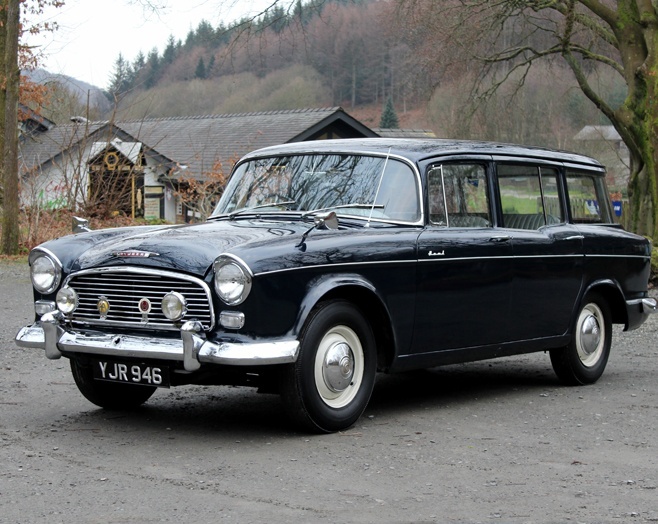 The latest acquisition by the heritage attraction in South Cumbria is an estate version of the Humber Hawk, which hit the market in 1957, 12 years after Humber’s first Hawk saloon model went on sale. 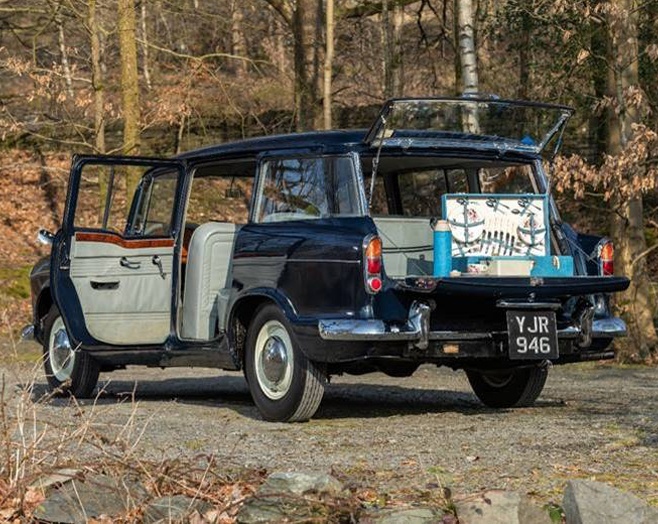 This 45,000 mile from new Humber Hawk Estate has been given to the Lakeland Motor Museum by a donor whose father purchased the car in 1965 and ran it until 1981 before putting it into storage in North Yorkshire. Its former owner protected the exterior of the car with blankets, sealed the storage garage and even heated it from beneath throughout the winter months over a 37-year period to help protect it. Such care means everything from its engine, bodywork, interior and even finer details such as a “Don’t follow me, I’m lost” decal in the rear window have been preserved in near pristine condition. Chris Lowe, Operations Manager at the Lakeland Motor Museum, says, “This vehicle appears to have been in a time warp – looking more like a four year old car, not 56 years old. The owner had kept it protected from the elements for nearly four decades and it makes a fantastic addition to our collection. 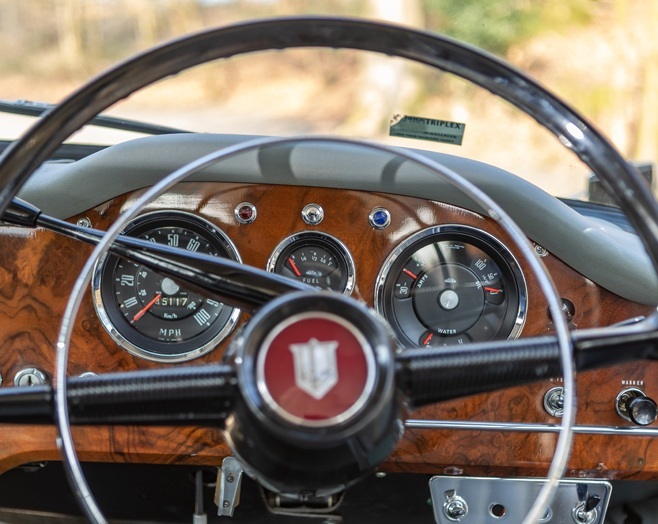 “Since collecting the Humber Hawk, the staff at the Lakeland Motor Museum have put some serious elbow grease into bringing the car to display condition. Not ‘restoring’ it per-se, but going over every inch of the vehicle, meticulously cleaning the car to ensure it looks like it’s been frozen in time, which essentially, it has been. “We’ve spent ten days cleaning and polishing the exterior, and at least six more on the interior, engine bay and adding anti-corrosive wax to the underside. Apart from repainting the wheels we haven’t made any changes to the vehicle, this was about preserving a highly original car and respecting the owner’s careful efforts. “We think the owner primarily used this vehicle to tow their caravan for family holidays. It has various additions that we’ve kept, such as, Club badges, fog and spot lights and a tow bar. They add to the character of the car and form part of its story, so we didn’t want to take any of that history away. “We believe it was also used to transport goods as part of the owner’s hardware business, despite that, its interior is virtually as good as new. It’s been a pleasure to work on such a highly original, well preserved example of a now rare car”. 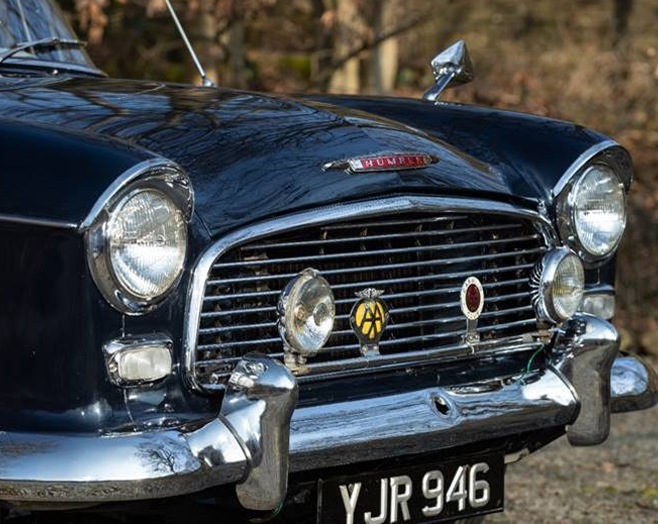 Following the demise of Humber, the manufacturer of the Hawk, another vehicle quickly established itself as the natural successor and became the market leader in the UK for large estate cars from 1968. One of those vehicles - a Volvo 145 estate has also been given to the museum by the same donor, with further details to be released in the coming weeks. Find out more about the winning 1962 Vauxhall Victor from Blackpool.